You’ve seen others toting them, those bulky black cameras hanging heavily around the neck. No way you can slip one of these into your pocket, as you would a cell phone or even a point-and-shoot. So you make do with your smartphone, and you’ve been doing just fine. Fine, that is, until you try to take a picture of an speedy toddler or a candle-lit party, both of which your phone’s camera renders as blobby blurs. Fast-moving subjects and challenging lighting conditions are just two of the reasons you might consider stepping up to a digital SLR. DSLRs aren’t just for professionals. The entry-level range—which I’ll define as cameras costing less than $1,000—are a fine first port of entry for budding shutterbugs who want to step up from smartphones and point-and-shoots. Sure, you can spend lots and lots of money on a camera, and as you do you’ll get faster shooting speeds, more focus points, better telephoto images, and improved low-light handling. But today’s entry-level DSLRs—from companies like Canon, Nikon, Pentax, and Sony—are better than ever, offering plenty of oomph to get you started and the ability to grow with you as your skills and needs change and evolve. Sure, sometimes it’s clear that these aren’t top-of-the-line cameras: In some cases, you’ll run into stiff switches and dials or inordinately loud and clunky shutters. But overall, it’s impressive just how functional the more affordable models can be. In fact, they even have some advantages over their high-end counterparts. For one thing, most are smaller and lighter: The Canon T5 weighs 1 pound, and the Nikon D3300 just 0.9 pound. So which one of these entry-level DSLRs might be right for you? To find out, we looked at the Canon T5, the Canon T5i, the Nikon D3300, the Pentax K-50, and the Sony Alpha a58. All five share a few basic characteristics. When you’re trying to catch that elusive speeding toddler, all but one (the Canon T5) can shoot at least five frames per second, and the Pentax bumps that up to six. All offer the kinds of shooting controls that’ll let you capture images in low light and other challenging conditions. They all weigh between 0.9 and 1.3 pounds—noticeably lighter than the typical enthusiast or professional camera. As you’d see by comparing the Canon T5 and T5i, these entry-level models can often be similar in design, but still be quite different in functionality. For example, the T5i adds an articulating touchscreen display and a better image processor compared to the T5, and has a better design with more shooting modes and features. All five of these cameras use smaller SLR sensors than you’d find on full-frame DSLRs like the Canon EOS 6D or the Nikon D610 (which start at around $2000 for the camera body only). We tested all five models with their 18-55mm kit lenses. Ultimately, all five models will help you capture great images. But among them, you’ll find some significant differences. The Canon T5 is one of the lightest and least expensive of the five (a recent price-drop makes the Sony Alpha a58 the least expensive), but it lacks some of the abilities you’ll find on competing models costing a bit more. 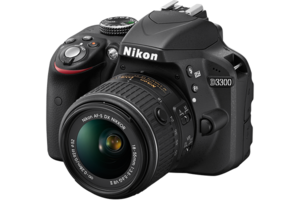 The Nikon D3300 has velvety smooth and comparatively quiet performance. The Pentax K-50 offers peace of mind in all weather and locations, thanks to its ability to use AA batteries or the included lithium battery. The Sony captures gorgeous images, and does so with a different design than is typical for DSLRs; unfortunately, it’s heavier, too. One big consideration: lenses. For example, if you know you plan on doing close-up photography of flowers, you’ll want a macro lens. If your kid is in a competitive indoor sport like gymnastics or basketball, you may want to eventually get an additional lens with longer reach and wider aperture than the standard (such as a 70-200mm f/2.8 lens), which will work better in lower light. If you think those sort of lenses might be in your future, you’ll do well to stick with one of the big two vendors, Canon and Nikon: Both sell a wide variety of lenses, and both have a deep base of users, which means you can find used lenses on the secondary market and save some money. That said, if you aren’t already wedded to a specific camera system, and have no specific designs on upgrading, any of these entry-level DSLR kits we tested make it easy to capture great photos. You’ll just have to get used to not shoving them in your pocket when you’re done. This story, "Review: 5 entry-level DSLRs under $900" was originally published by Macworld. The Sony Alpha A58 continues to stack up well to its competition. If you're not wedded to either Canon or Nikon and their lens selection, and don't mind the complexity of deep menus, the A58 is a great value and a camera that can grow with you creatively. The Pentax K-50 has a lot to like, with its tank-like, sturdy design and plethora of settings and controls. But color reproduction and noise levels at high ISOs make images a mixed bag. A highly capable starter camera that produces great images and has one of the most friendly and intuitive interfaces we've seen. Adjustable swing-out display has touchscreen for easily navigating shooting options, even in sunlight. But the Live View focus, flash cycling, and general navigation feel sluggish by comparison. A budget camera that gets you started with taking great pictures, but its interface and design are less appealing than those of the more capable Canon T5i.